Deadline first broke the story last night that Warner Bros. has hired Matt Lieberman to pen the script for a feature length animated version of The Jetsons. The big question: Will it be 2D or 3D animation? We've been hearing for nearly a decade that a live-action Jetsons movie is in the works. And Jetsons nerds have been understandably nervous about how the First Family of Futurism might translate into flesh and blood. But they can breathe a sigh of relief now that Warner Bros. is reportedly back to working on The Jetsons as an animated project. Lieberman is relatively new to Hollywood and most of his work has yet to see the screen. But he's sold a number of scripts that are currently in production, including a reboot of the Short Circuit franchise. The new Jetsons movie doesn't have a director yet. 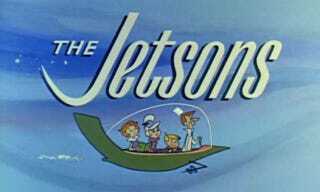 The Jetsons lasted just one season during its original run in 1962-63. But those 24 episodes would play on constant repeat during Saturday morning cartoons, becoming firmly planted into the brains of at least three generations that grew up dreaming about our techno-utopian future. The Jetson family would get a reboot in the mid-1980s for a few more seasons, but those episodes are widely considered to be inferior to the original show. There was also a feature length animated movie in 1990. There's no word yet if this new version of The Jetsons will get any updates that catapult them even further into the future. Nor whether we'll see any other time-traveling cameos by that family from Bedrock. But with so many rumors of a Jetsons reboot that never panned out, we can't count our robotic chickens before they're hatched. This project still has the possibility of getting derailed.